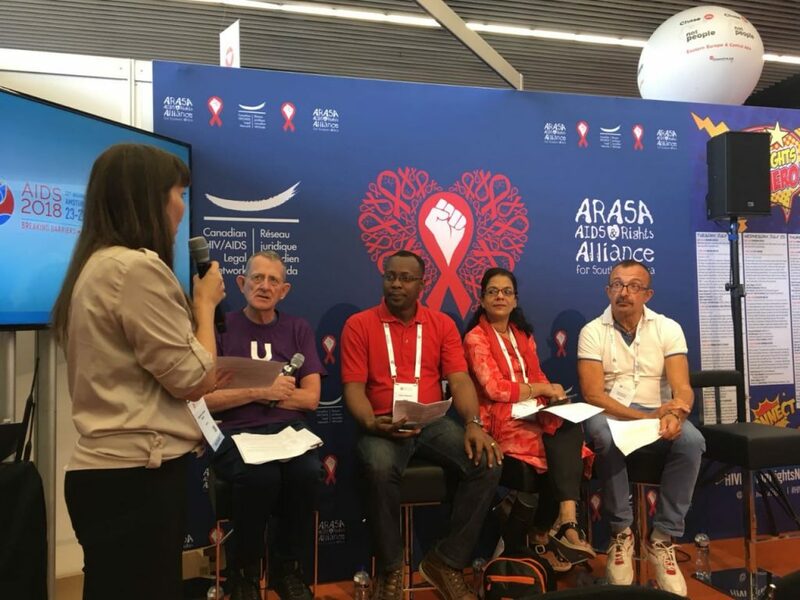 Older Adults Living With HIV in the Region Highlighted at AIDS 2018Jason Shepherd of CRN+ participated in special panel discussion on "The Gray Zone". The Region continues to have a prominent voice at the 22nd International AIDS Conference 2018. The conference heard from Mr. Jason Shepherd from Guyana during a special panel discussion, “The Gray Zone: Ageism as a Human Rights Issue in the Global Response to HIV”. Jason is the Senior Project Officer for the Caribbean Regional Network of People Living with HIV and AIDS (CRN+). The discussion focused on older adults living with or vulnerable to HIV because of discrimination against the elderly and HIV stigma; a societal problem referred to as the “Gray Zone”. Jason was joined by four global panellists who presented on how present-day HIV responses compromise the right to health of older people and the potential strategies to promote social justice for this population. Jason shared his experience in the region on discrimination experienced by older adults living with HIV and advocated for more attention on the impact of HIV stigma on the older population. He urged that the region invest in collecting necessary data, which would inform how policymakers can enact strategies to protect the human rights and dignity of this vulnerable group. He challenged advocates within the Region to propagate messages aimed at placing a spotlight on older adults living with and vulnerable to HIV and the negative health outcomes they experience because of stigma and discrimination. Jason challenged all advocates to bring the issue to the forefront as the region risks leaving this population behind in the HIV response. Jason forms part of a large contingent of civil society representatives and advocates at AIDS 2018 who are providing a powerful voice for People Living with HIV in the region.